VILLAS AND APARTMENTS TO RENT IN COMO, ITALY. 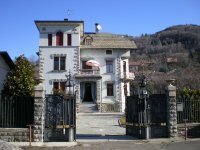 Welcome to our selection of holiday homes to rent in Como, Italy. The spectacular beauty of Como brings celebrities, royalty and commoner alike to this part of Italy. But you will hardly have any time to star gaze because the many things you can do and see here will leave you with little time for anything else. Head to the northern part to enjoy the beautiful beaches, where you can swim in an atmosphere that seems like the Caribbean. Or just sit by the water and enjoy the sounds of the crashing waters. The water is also the cleanest here. Naturally, the place provides you some excellent opportunities to windsurf, kite-surf, jet-ski or just wakeboard. The northern part of the lake has the best wind conditions. With so many water related activities, can sailing be far behind? Lake Como is a sailor�s paradise, with the wind from the south creating excellent conditions for sailing. The fact that you can rent a sailboat makes it very tempting to captain a boat! If you enjoy extreme sports, head to Mount Nuvolone where you can paraglide. Lake Como also provides some wonderful opportunities for fishing. Before you set out the bait, you would need to get a fishing licence from one of the provincial offices. If you like hiking, there are ample opportunities ranging from the simple to steep all with panoramic views of the lake. There are also rock climbing opportunities available. You can also take a guided tour of the area and enjoy the views on horseback. One of the best ways to see the beautiful villas and churches is to explore the outdoors in a boat. You can hire one yourself or opt for a guided boat tour on the lake. You can also discover the surrounding towns and villages by hiring a bike. Not to be left out, the children can have a whale of a time at the playground for children located in Mandello. Located in an area called Lido, it has the biggest and best playground with a coast guard, a classic horse carousel, with a charming park, all designed around children. Besides all these, you can also make a trip to see Italy�s very own Grand Canyon, the Orrido Gorge and the Planetarium in Lecco for a fantastic show of deep space astronomy. You can round this off with some shopping that will remind you of your trip here. There are also weekly markets where you can pick up goods at discounted rates. All in all, a trip to Como will be one to remember! Looking for self catering holiday accommodation in Como? Then below is a selection of Apartments in Como and villas in Como that can be rented direct from their owners. You can either click on each listing for further details or you can use our search engine on the left if you are looking for something in particular.